As a professional musician, I am lucky to be able to work with professional singers quite often. These musicians have a tough job. 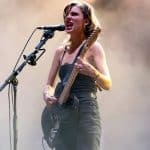 Using your voice every day is exhausting, and the market for getting gigs as a singer is different than the market for getting gigs as a side musician. That said, it’s absolutely doable. If you love to sing, there are many, many ways to make money and even make a living singing. 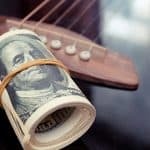 In this guide, we’re going to go through some of the ways singers can make money, what it takes to be a professional, and the materials you’ll need to get gigs. How To Be A Professional Singer, Don’t Give Up & Keep A Positive Attitude! Being a professional singer can mean many things. There are so many ways to make money – it’s not just live performance. 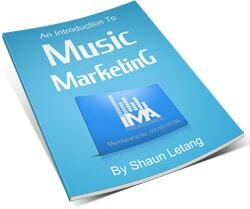 You can make money singing on people’s albums and demos, teaching lessons, and recording yourself. Of course, it’s much easier and more common to make money playing live. Within the live category, there are many options. Some of the more lucrative opportunities are playing cover gigs on cruise ships, in resort towns, etc. However, there are tons of opportunities locally as well. Local cover bands are often looking for singers. These cover bands range from bands that play in bars for a few hundred bucks, to professional cover bands that perform at corporate events. If you can get into one of these premiere cover bands, you can make real money. Often, you’ll be paid $400 – $1000 per gig. These gigs aren’t easy though – premiere cover bands have a huge repertoire, high standards, and play high profile events. Most big cities have three to four of these premiere cover bands. The best way to start picking up these gigs is to make friends with the singers in the band. Eventually, if you show yourself to be a fun person, a great singer, and a professional, you’ll get called to sub on a gig, and you may eventually end up being the go-to singer. Playing background gigs at parties and restaurants can be hilariously lucrative. I have several friends who make almost all of their income by playing four to five background gigs at restaurants each week. These gigs typically pay between $150 – $300 per show. If you can accompany yourself, that money all goes to you. Hooking up just a few of these gigs every week can supplement whatever you’re doing and give you a very reliable income. The best way to go about getting these gigs is to start approaching restaurants. Some restaurants will be happy to have you, especially if they already hire background music. Others will take some convincing, but you’ll probably have some luck if you put yourself out there. All you need is some decent promotional material and three sets of music. We’ll cover what a good promo package entails later in the guide. 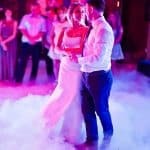 There are music agencies around the world that book entertainment for cruise ships, resort towns, and corporate events. These are dream gigs for singers, especially when they are just starting out. This is contract work, so they’ll often employ you for three to six months. Whether it’s at a resort or a cruise, you’ll probably have to travel for these contracts. You’ll likely be singing five to seven days per week, often up to 20 hours every week. It will most likely be cover songs and you’ll probably have to be continuously learning and rehearsing new songs and special requests. The work is fairly intense, but it’s also quite lucrative. While you are traveling, you’ll probably be able to negotiate benefits, cheap accommodations, and potentially even access to cheap food. The best way to get these gigs is to put together a great promotional package and apply. Agencies will have video auditions fairly often (there is high turnover in the industry) and are always looking for new talent. Many, many artists need singers for their songs. Electronic and pop producers are often looking for a singer to feature on a track and all sorts of artists need background vocalists. The pay for these gigs vary wildly based on what the artist can afford. Sometimes it will be a case of beer, other times you’ll get paid a proper session rate of $150 – $400. Either way, these gigs are important to take for many reasons. Taking one of these gigs and doing a great job will lead to more of these gigs. Often, these gigs happen during the day, so you can still gig at night. 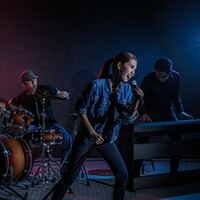 These gigs offer you the potential for wider exposure and good resume building, especially if you’re singing for somebody that already has a solid fan base. As a professional, you’ve probably taken many hours of singing lessons over the years. Singing lessons are essential for developing your technique and expanding your knowledge of the human voice. 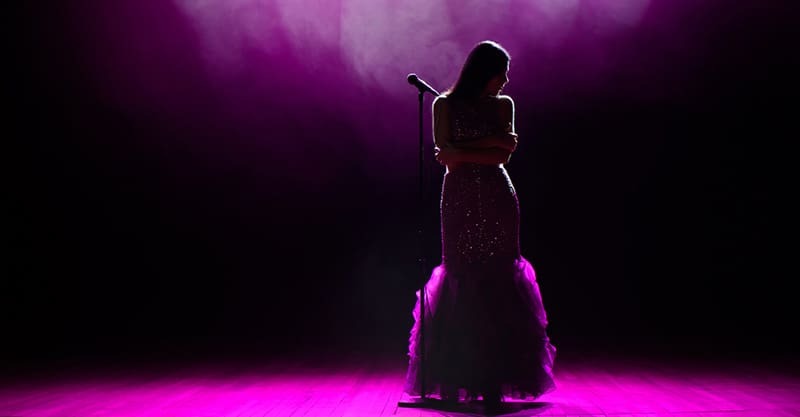 Offering vocal lessons is a great way to keep yourself firmly grounded in the fundamentals of singing, while also making money and inspiring the next generation of singers. 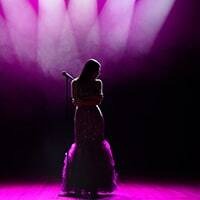 If you are serious about becoming a professional singer, there are some clear steps you need to take. Being a professional singer is more than just singing for money. It’s an attitude, it’s a mindset, and it’s also a skill set. Worldwide pop sensation Christina Aguilera demonstrates this very well, and even teaches you how to do the same in her popular course. To become a true professional (at pretty much anything) you need to work for years at cultivating and refining these assets. Fair enough. But there is always more to learn. The more you learn, the more you realize you don’t know. Firstly, as a professional singer you’ll be using your voice, a lot. Many singers who grew up singing and grew up with natural talent develop bad habits. If you’re not singing with good technique, you will end up with a vocal injury. It happens to even the best musicians. Adele and John Mayer are two famous examples of singers who lost their voices and ended up having to cancel tour dates and take time off from music. You do not want to blow an opportunity or lose gigs because your voice is in rough shape. It’s just not worth it. Part of being a professional is having the skills to maintain your voice through a heavy schedule. This takes work and diligence, but it’s expected of you. Beyond learning how to care for your voice, singing lessons will teach you to explore areas of your voice in new ways. Your voice is a flexible instrument, and it’s important to learn how to make full use of it. 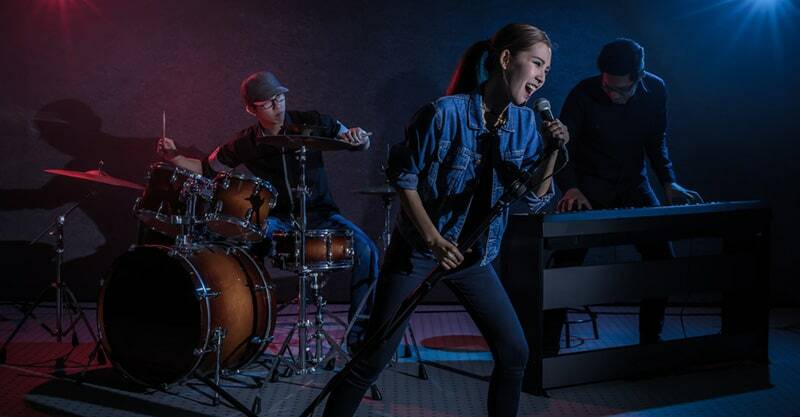 As a professional singer, you’ll end up being the de facto front person. You’ll need to have a wardrobe that makes you look the part. Side musicians can get away with wearing sharp but plain black clothes. Speaking as a side musician, I love this. I wear the same thing every time. The singers, however, have a little bit more pressure to look flashy and sharp. If dressing well isn’t your forte, now is the time to work on it. Dressing well was not my forte at all, but I knew I had to change that. So, I talked to a friend who has a passion for fashion, and she helped me find a style that I could rely on. I wear the same thing almost every day, but I don’t care because it works. If this is you, I would recommend seeking out some help and stepping up your fashion game. That said, if you’re already into fashion (for some reason many singers are), I am giving you license to buy cool “gig clothes”. Being a singer is a little different than being a drummer or a bass player. You often show up with no instrument, maybe just a mic. Offer to help with other people’s gear. They may say no, but it’s nice to ask. Have your mic and cable ready to go. If you are using charts, make sure they are in order and in a pretty binder. If they aren’t in a binder, consider using an iPad or something similar to keep your charts in order. During sound check, sing a song you will be singing during the show. This helps the sound tech get an appropriate level and helps your fellow musicians establish a good monitor mix. Interact with the other musicians on stage. Have fun, and facilitate a great vibe on stage. If you can pull this off, both the audience and the band will thank you for it. Whether you’re applying for an agency gig or a background music gig, you’ll need to have a great promo package. The materials should cover all the bases. Pictures, video, and more. It should give anyone hiring you everything they need, and it should sell you as a person and a singer. By far the most important part of your promo package is live video. This is what sells your ability. Live video shows people many things. It shows them that you can sing well. Beyond that, it shows them how well you can perform. Do you engage the audience? Do you move around the stage? Are you dramatic? It shows someone that you dress the part and look like a singer. All of these things are a part of a live performance and shouldn’t be underestimated. To start with, you can have a friend take a steady, not blurry video on their iPhone and use that. Then, you should consider getting professional live video done. You can do it in a studio, but it’s always better to have video of you at an actual gig. Having a studio recording of either an original song or a cover song is not completely necessary, but it’s a nice touch. For many people, having things recorded is a sign that you are a professional, and it’s important that you exude professionalism. If you don’t write original music, it’s totally fine to record a cover song. You can do this recording in a professional studio, but you can also find a good home studio and do it there. These days, there are lots of options for cheap recordings! Head shots and live photos are fairly easy to obtain. These days, there seems to be a photographer at every gig. If somebody is there taking pictures, ask for permission to use their photo in your promo package. Find somebody in your city who does head shots for actors, and ask them to take some head shots for you. These usually cost around $200, but you can use them for many years to come. Finally, a concise C.V. or Biography is a good addition to your promo package. I’ve always felt a little uncomfortable with biographies, so I prefer a C.V. It just needs to list your musical education, accomplishments, and the people you’ve played with/for. Having some references near the end of the email is never a bad idea. It adds credibility, even if nobody ever calls your references. Nothing bums me out more than hearing musicians complain or get jaded about the industry. It’s a tough go mentally, emotionally, and financially, but it’s tough for everyone. If you don’t love it, move on. There are lots of gigs out there, you just have to have the drive to get them. Perservere and keep a positive attitude. Good things will come your way.